The first journalism course at the University of Nevada was taught in 1921 in the English department. The next year, English professor Alfred Higginbotham, who had experience as a newspaperman, began teaching two courses, then four. By 1924, six men and five women posed for a picture as the first graduating class in journalism at the university. Higginbotham continued, mostly alone although with the help of an occasional part-time instructor from the local newspapers, the Nevada State Journal and the Reno Evening Gazette, until the end of World War II, when he recruited World War II foreign correspondent Keiste Janulis, who’d received a master’s degree from the Columbia University School of Journalism, to become the second professor in a new Department of Journalism. For the next two decades, students in the newspaper-oriented program worked closely with the rural press in Nevada and the dailies in Reno, Las Vegas and Sacramento. Higginbotham was the founder of the Nevada State Press Association, which he started with the university as “home” for the organization, and of both the professional and student chapters of Sigma Delta Chi (now the Society for Professional Journalists) in Nevada. Additionally, he started one of the nation’s first chapters of Kappa Tau Alpha, the national journalism honor society. The first master’s degree in journalism was granted in 1964. In 1965, Ted Conover became chairman of the journalism department, ushering in a new era of growth and sophistication. Conover turned the random advertising copywriting and public relations classes he had taught in the early 1960s into “sequences” of courses in those topics. Courses were added in broadcast journalism. Journalism professors were added to the graduate faculty. Along with the rest of the university, the journalism department found the ’60s to be a period of rapid expansion. The department was accredited for the first time in 1970. LaRue Gilleland became chairman of the department in 1975, followed by Robert Kaiser in 1981. The program—a core of journalism courses accompanied by sequences of courses in print journalism, broadcast journalism, advertising and public relations— solidified. The advertising sequence was strengthened by the addition of Professor Joseph Howland in 1982. In the early 1980s, a significant move began to break journalism away from the College of Arts and Sciences and to form a separate school of journalism. Professor emeritus Warren Lerude, Pulitzer Prize-winning former editor and publisher of the Reno Evening Gazette and Nevada State Journal, and alumnus and Gannett executive Rollan Melton, approached the university president. They obtained a pledge of support for reorganization if they could find significant private funding. Lerude and President Joe Crowley obtained a financial commitment from Donald W. Reynolds, proprietor of the Donrey Media Group. The first major grant from Reynolds, $125,000, underwrote the salaries of a group of Reynolds Visiting Professors in 1983-84. Kaiser adopted a policy of rapid enrollment growth as a way of justifying the movement for status as a school.The addition of the visiting professors enabled him to open a number of new classes. Also, he hired a number of part-time instructors to open even more sections of journalism courses. Journalism enrollments rose from 94 full-time students in 1980-81 to 149 in 1983-84. In that same year, the University and Community College System of Nevada Board of Regents created the Donald W. Reynolds School of Journalism and Center for Advanced Media Studies. CBS Bureau Manager Travis Linn was named the first dean of the school. Benefactor Lerude and his wife, Janet, donated $40,000, assisted by the Gannett Foundation with another $20,000, to purchase 22 word processors, replacing old typewriters and taking the school’s first step toward the cutting edge of technology. The annual gifts from the Reynolds Foundation continued, and in 1986, after a presentation by Linn, Lerude and university President Joseph Crowley, Reynolds announced a $2.5 million challenge grant, inviting the university to match it for a $5 million building within three years. At the same time, he provided $25,000 for an architectural feasibility study and $50,000 to underwrite the cost of fund-raising. During the three-year challenge grant period, the school raised more than $500,000 from alumni, friends and foundations, including $250,000 from the Gannett Foundation, $100,000 from the Ted Scripps family and $100,000 from the Walter Annenberg Foundation, honoring Nevada Senator Paul Laxalt. On June 27, 1989, the Nevada legislature gave final approval to legislation including a $2.1 million appropriation to complete the match of Mr. Reynolds’ challenge. Construction began in 1990. The building was completed in autumn of 1992 and occupied in January of 1993. While fund-raising efforts during 1986-1990 focused on financing a new building for the new school, day-to-day attention was devoted to improving quality in instruction, advisement and recruitment, in building scholarship and research to balance the professional orientation of the school, and in strengthening the master’s degree program. In this last regard, significant steps were taken, including the creation of a 12-credit core curriculum for the program and an innovative “professional research project” that combines the rigor of a thesis with the pragmatism of working with a media company or institution. In January 1992, shortly after a re-accreditation of the school, James K. Gentry, formerly of the University of Missouri, became dean of the Reynolds School of Journalism. Gentry’s priorities began with equipping the new building. By the time the building opened, the writing/editing lab and the graphics lab were equipped with new Macintosh computers. Networking of the building followed shortly thereafter. The Lerudes gave $80,000 to enhance the Warren Lerude Writing Center with new computers capable of Internet access. Other major advances during Gentry’s first three years were the hiring of new faculty, bringing new skills and greater balance; the revision of the curriculum to reflect the merging of media technologies and to emphasize critical thinking and ethical considerations, and greater emphasis on diversity in the student body and elsewhere. In July of 1997, Jimmy Gentry left to take up the position of dean of the William Allen White School of Journalism at the University of Kansas. Linn returned to administration to serve as interim dean for two years. In 1999, William Slater was appointed as the third dean of the school until he moved to Texas Christian University in 2001. Joann Lee became dean in 200l. She joined the Reynolds School of Journalism after a career in broadcast journalism and teaching assignments at Columbia University as well as Queens College in New York City, where she headed the journalism sequence. Illness forced her to leave the dean’s position after one year. 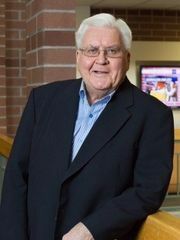 Interim deans served until 2004 when Cole Campbell, a visionary in public journalism and its role in democracy, became dean. Campbell had been editor of the St. Louis Post-Dispatch and the Norfolk, Va., Virginian-Pilot and was a nationally known leader in journalistic forums. He died in an automobile accident in Reno in 2007. Jerry Ceppos, former executive editor of the San Jose Mercury News, was named dean in 2008 sand took steps to inaugurate a Nevada high school journalism network and continued building a faculty that included new Donald W. Reynolds Foundation endowed journalism chairs to complement several existing chairs. Ceppos, who had served as vice president for news with Knight Ridder, has been prominent as a national leader in the accreditation of schools of journalism. The Reynolds School is highly regarded within the university, within the community, within the professional media community of Nevada and around the country. Members of the faculty serve in important roles on university committees, interact with media professionals throughout the state, and are active in national organizations such as the AEJMC, PRSA, RTNDA and SPJ. The school serves as the venue for a variety of professional training programs. The Reynolds School of Journalism and Center for Advanced Media Studies programs have a tradition of strong professional orientation with an emphasis on hands-on skills training. Many professors have worked in journalistic fields, from broadcast to public relations. Many continue to be active in these pursuits. Instruction emphasizes professional skills, and students are required to complete internships in their chosen journalistic fields. This department founded the first chapter of Sigma Delta Chi (Society for Professional Journalists) in Nevada, as well as the Nevada State Press Association, the Nevada Chapter of the Public Relations Society of America (and PRSSA), and the nation’s ninth chapter of Kappa Tau Alpha, the national journalism honor society. The Reynolds School of Journalism boasts six Pulitzer Prize winning graduates. Our students continue to win national competitions in the areas of advertising, photo and print journalism, among others. Enrollment at the school has grown steadily. Approximately 500 journalism major and minors are enrolled in the school, along with an annual cohort of between 8 and 14 master degree students. Outside funding has grown. In 2000, the Donald W. Reynolds Foundation awarded $5 million in grants for endowments, supporting technology at the school and two endowed chairs. In 2007, the Reynolds Foundation awarded $1.5 million for a Fred Smith Endowed Chair for the dean’s position and in 2008, gave $2 million for an endowed chair in business journalism. In 2007 and 2008 the estate of alumna Gwen Leonard provided $3.4 million for an endowed chair in ethics and writing honoring her late husband Paul Leonard, veteran editor of the Nevada State Journal. Funding continues to increase for the Robert Laxalt Distinguished Writers Program, designed to expose prospective journalists and the larger public to the best in non-fiction writing. The program, which brings notable American writers to the university, honors the legacy of Robert Laxalt, a Nevada cultural icon and seminal figure in modern American memoir writing. Another major funding initiative has been the creation of the Jim Joyce Endowment to explore the relationships between politics, government and journalism, honoring alumnus Jim Joyce, a nationally known media and political leader. Journalism in this decade is vastly different than journalism in the 1990s, shaped in part by two major forces: 1) convergence among media, and 2) the development of the Internet as a mass medium. A major curriculum revision resulted in the past few years as faculty members felt strongly about preparing journalism majors to enter a workforce that expects them to be fluent in information gathering, writing, and production across all media. The Reynolds School continues its strong focus on students, aided by outstanding alumni and industry support. This combination supports our commitment to innovation and professional excellence, helping us help our students and the industry transition to a future far different from that of our first graduating class in 1924. Note: University of Nevada, Reno President Emeritus Joe Crowley had an enormous impact on the Reynolds School of Journalism’s creation. Below is an article written by Warren Lerude, professor emeritus at the Reynolds School, that details just how instrumental Crowley was. This article was originally published on Nov. 29, 2017 in the Reno Gazette-Journal. Among Joe Crowley’s many accomplishments as president of the University of Nevada was leading the academic and administrative way in the creation of the Reynolds School of Journalism on the Reno campus. 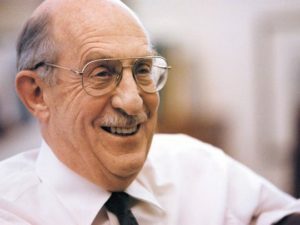 In so doing, Joe was relatively rare among his presidential peers at American universities by putting journalism on an equal footing in the academic world through the establishment of a new independent school. The process was complicated. Here’s how it happened: In l977, Rollan Melton, president of Speidel Newspapers based in Reno which had become Gannett West following the merger of the two companies, and I, as publisher of the Reno Evening Gazette and morning Nevada State Journal, approached Max Milam, Joe’s predecessor as president of the university. We proposed to Milam that he ask the board of regents to elevate the small but good department of journalism to the full status of an independent school such as a medical school or law school. We pledged to use our national contacts and resources to help develop the school of journalism. We based our assumptions on our knowledge of the professionally oriented and academically sound Pulitzer School of Journalism at Columbia University in New York City. Milam turned us down, saying the journalism department would remain in the College of Arts and Sciences with English, psychology, physics, mathematics, political science, art, history, philosophy and other disciplines. When Joe succeeded Milam as president in l978, we renewed the proposal with him. Joe trusted that Rollan, a l955 journalism graduate and I, in l961, would follow through with our pledge of support and round up more. Joe understood the vital role journalism played in democracy as a leader in the enduring fight to protect and advance the First Amendment. And Joe knew the societal value, for instance, that if the UNR Foundation were to pay a celebrity speaker a substantial stipend to draw an audience to a major fund-raising dinner for the university, chances were high the speaker would be a nationally acclaimed journalist. Joe had first-hand knowledge of journalism as a sports writer as a young man and he had the kind of inquisitive mind shared by scholars and journalists. Joe valued good writing, often bringing his own essays during his political science professor days to the newspapers for publication. Joe had a love affair with the written word that he would develop through the decades as an author of books and a creator of poetry. So, Joe agreed, and he began the complicated process to create and build a full school of journalism. This led to teamwork in approaching national media owner Donald W. Reynolds, based in Las Vegas, and his chief executive Fred W. Smith, who arranged for funding, first for a visiting professional professor program and later with a $2.5 million challenge grant for a building. This was met partially by alumni and friends who contributed about $400,000 in donations. The Board of Regents and Nevada Legislature, honoring Reynolds by naming the school for him in l984, subsequently provided the remaining $2.l million matching funds arranged by fellow Nevada journalism graduate Jim Joyce through his contacts with lawmakers including Senator William J. Raggio. The marvelous building opened in l993 under the planning leadership of the school’s first dean, Travis Linn, who Joe had the vision to hire. Travis, a Harvard educated, CBS News executive, blended academic and national professional journalism distinctions. The Reynolds Foundation subsequently provided significantly more funding for endowed chairs and about $10 million to advance the journalism building into high technology for futuristic education. Joe had deep understanding of the educational value of a school of journalism in the teaching of public affairs news research, good writing and the difference between facts, interpreted “truth” and political propaganda. Most universities do not have such independent free standing schools of journalism to explore media literacy topics and many do not even have departments of journalism. Joe also knew that Nevada journalism graduates had developed a sense of pride in and loyalty to their alma mater over the decades shown by creating ethics, reporting, writing, editing, publishing, advertising, public relations, multimedia and First Amendment programs through voluntary donations and endowments. Joe’s commitment has been supported by the three presidents who followed him including Marc Johnson today and seven deans of journalism including today’s Al Stavitsky. Dean Al, as he is affectionately called, leads the school with 20 full-time faculty and more part-time professional adjunct instructors, several staff, 550 student majors and distinguished alumni spread from coast to coast and around the world. When Joe retired in 2001, he had a wide choice of where he would like to have his presidential emeritus office be located on the campus. He chose to have it be in the journalism building. There, Joe was right at home and much appreciated. Warren Lerude is professor emeritus in the Reynolds School of Journalism and a Pulitzer Prize-winning journalist.